Improve foundational reading skills with a guided reading program that appeals to students at every reading level. 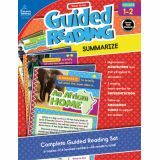 Guided Reading: Summarize for first and second grades enhances language arts lesson plans with six sets of readers for below-level, on-level, and above-level reading skills. This reading comprehension resource book engages students with colorful images as they learn about topics such as bees, firefighters, weather, and more. The high-interest readers are separated into three readability levels and designed to keep students' attention. Various call-out boxes direct students to apply guided reading strategies to the texts, such as scanning for meaning or word work. Each reader concludes with a writing prompt. 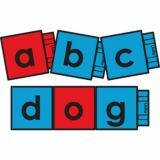 Written using a strictly controlled vocabulary, these readers feature text using only decodable regular words (according to a week by week progression) along with ‘tricky words'. 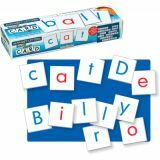 Tricky words are words frequently used that are not decodable. Each set includes 12 readers with colorful photographic images. Guided Reading Level A. Is your child developing reading skills for a lifetime? 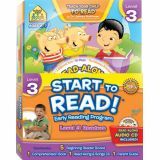 Help little learners step up to Level 3 in the Start to Read! Early Reading Program. 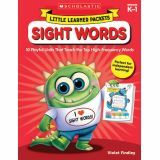 This collection further advances your preschooler's or first grader's reading skills. With a Read-Along & Songs CD, this super package offers Two Great Ways to Learn®. The set contains: 5 Beginning Readers present charming stories with beginning vocabulary 1 Read-Along & Songs CD includes all 5 stories (narrated) and 10 original songs 1 Comprehension Workbook corresponds to the 5 stories to test and reinforce reading skills 1 Parent Guide offers tips and ideas for following a 3-step approach: listen, read and review The stories in the readers are fun, easy to follow, and colorfully illustrated. 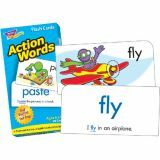 Repetition, rhyming words, and short sentences introduce and reinforce essential language and listening skills. Each story has one track on the CD dedicated to uninterrupted reading and another narrated track, with turn-the-page signals to help your child follow along in the book. 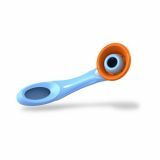 The CD also has 10, fun-to-memorize songs that make bedtime, bathtime, or anytime more playful. A comprehension workbook provides additional activities and extra practice of newly learned skills, while testing your child's understanding of each story. A Parent Guide offers tips and ideas for you to enhance and support his or her reading progress. 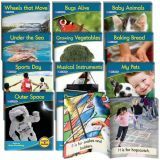 Originally developed by educator and School Zone co-founder Dr. James Hoffman, the updated sequence-based series, which consists of storybooks and complementary materials across three progressive reading levels, is designed to build a solid literary foundation for any child while teaching kids that reading is fun. This Level 3 collection continues the development of reading skills. Follow this program, and you and your child will celebrate reading success every day! Skills: Level 3 Story Books – beginning sight words; 45-100 new vocabulary words; word recognition; letter recognition; beginning sounds; letter-sound association; problem solving; rhyming; vocabulary building Read-Along & Songs CD – creativity; memorization; sound recognition; reading comprehension; listening; following directions Comprehension Book – reading comprehension; focus; problem solving Fun Features & Big Benefits • Memorable stories and characters • 3-step approach to reading • Whimsical, age-appropriate songs • Pencil-and-paper workbook activities • Story narration on audio CD • An exceptional value! 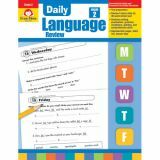 This reading comprehension resource book appeals to students at every reading level. 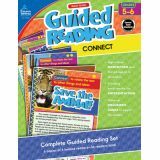 Enhance your lesson plans with Guided Reading: Connect for fifth and sixth grades. 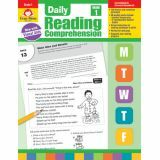 This reading comprehension book includes 36 leveled readers—six at each reading level—and features colorful charts, photos, and maps. The readers feature topics such as spiders, the U.S. Constitution, and world deserts. The readers are separated by below-level and above-level comprehension skills and feature call-out boxes to direct students to apply guided reading strategies to the texts. 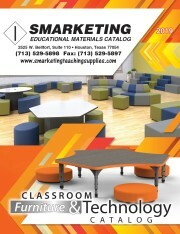 Each nonfiction text addresses fascinating topics and includes a writing prompt so students can show what they know.